A pastor with a kind heart. A black op with a deadly aim. All wrapped up in one amazing woman…. When you’ve given your conscience to God and your country is in peril, how fiercely are you willing to fight? This is the question for Leona Foxx, who leads a double life. She is unwillingly called back into CIA espionage while serving as a parish pastor on the South Side of Chicago. Leona’s skills as a defender of America against threats both foreign and domestic conflict with her conscience, a conscience shaped by her faith and her compassion for both friends and enemies. In this, her first adventure, Leona uncovers a terrorist plot hatched by American mercenaries who intend to blame Iran. She takes off her clerical collar and picks up her .45 Kimber Super Match II to rally a counter-terrorist alliance of street gang members and professional crime fighters. Discover how even a saint cannot avoid sinning boldly. 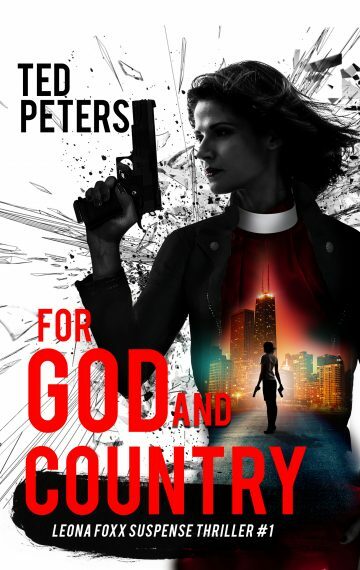 Get your copy of For God and Country today!